Casa Central will celebrate a huge milestone this as it celebrates its 60th Anniversary Annual Awards dinner this coming Thursday at the Radisson Blu Aqua Hotel in Chicago. “We are thrilled to celebrate 60 years of history and progress with our supporters, participants, and community. You have helped us transform the lives of hundreds of thousands of individuals with your exemplary work and generous support,” said Casa Central President and CEO Ann Alvarez. This year’s honorees are: Larry J. Goodman, MD, CEO Rush University Medical Center (The Pastora San Juan Cafferty Legacy Award); Aramark, accepted by Frank Kiely, President of Business Dining (The Community Builder Award); and Kellogg’s, accepted by Wendy Davidson, President of U.S. Specialty Channels (Corporate Partner Award). 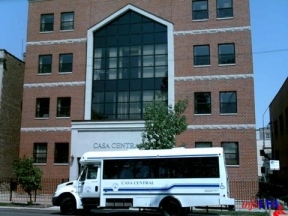 While Casa Central celebrates the past, the thoughtful donations and support made during its upcoming annual dinner will help advance Casa Central as the conduit through which thousands of individuals build hope for the future while equipping themselves to achieve a sustainable, higher quality of life to the benefit of self, family, community and society. For more information about the upcoming 60th Anniversary Awards Dinner, tickets, or Casa Central, please contact Patricia Vasquez at (773) 645-2476 or pvasquez@casacentral.org.